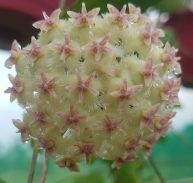 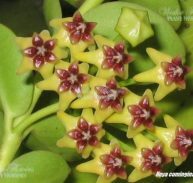 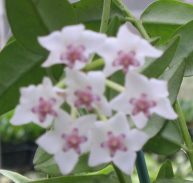 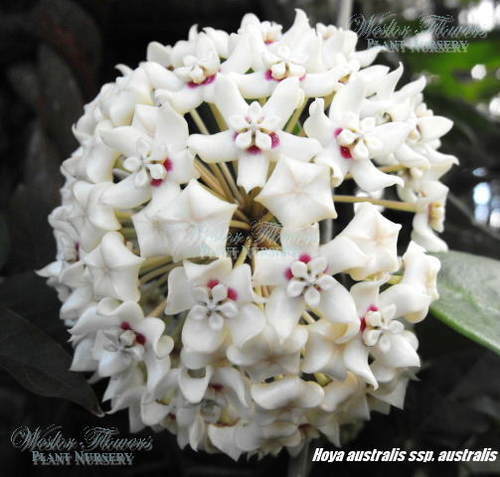 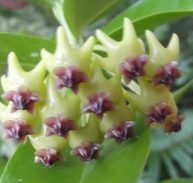 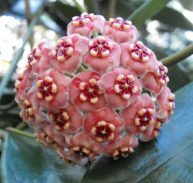 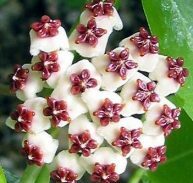 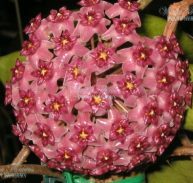 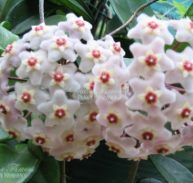 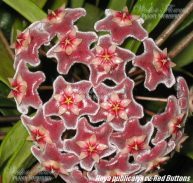 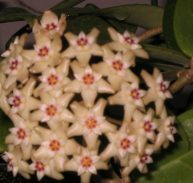 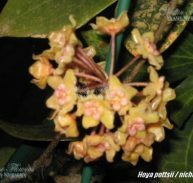 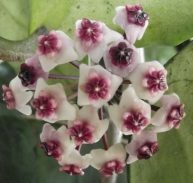 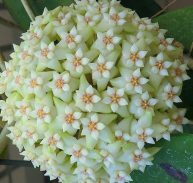 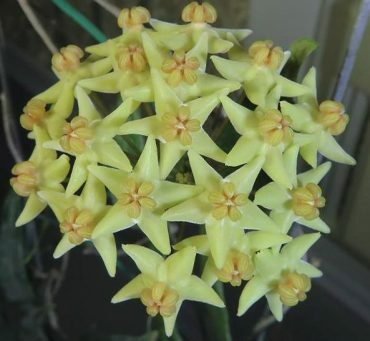 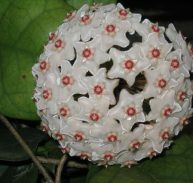 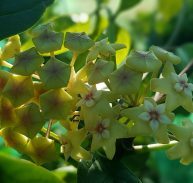 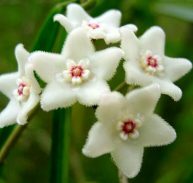 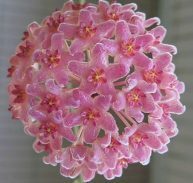 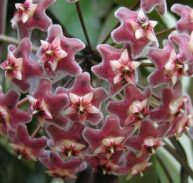 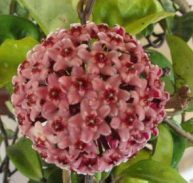 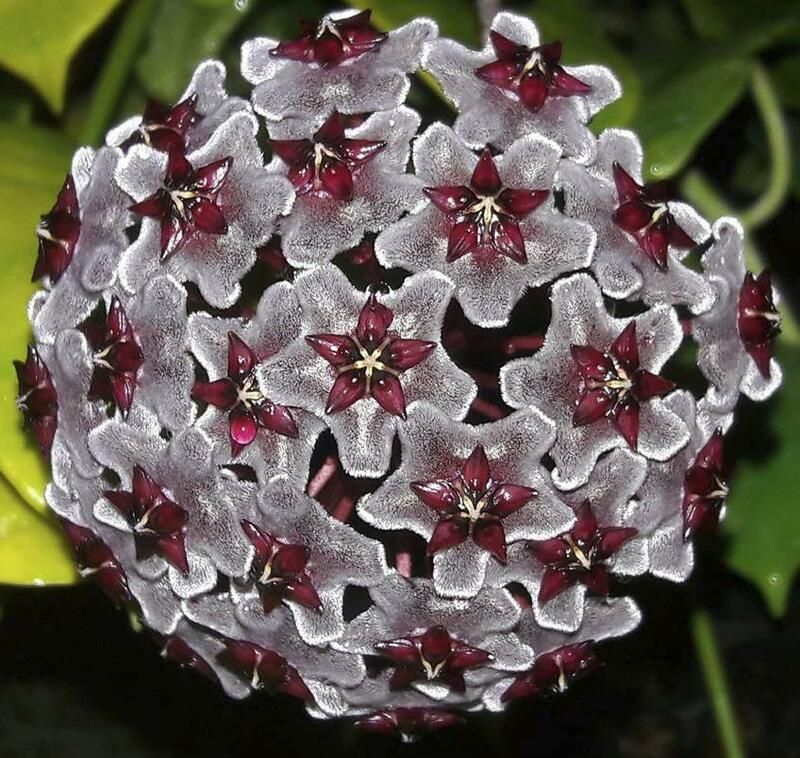 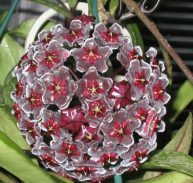 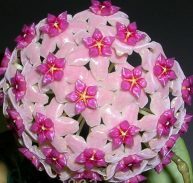 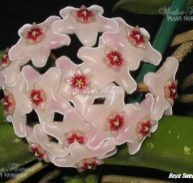 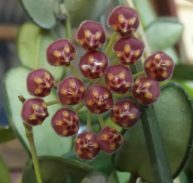 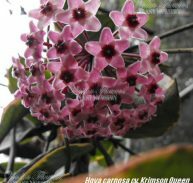 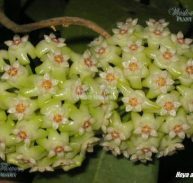 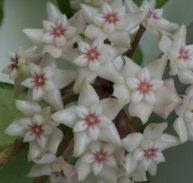 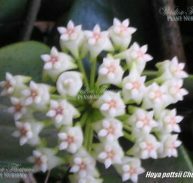 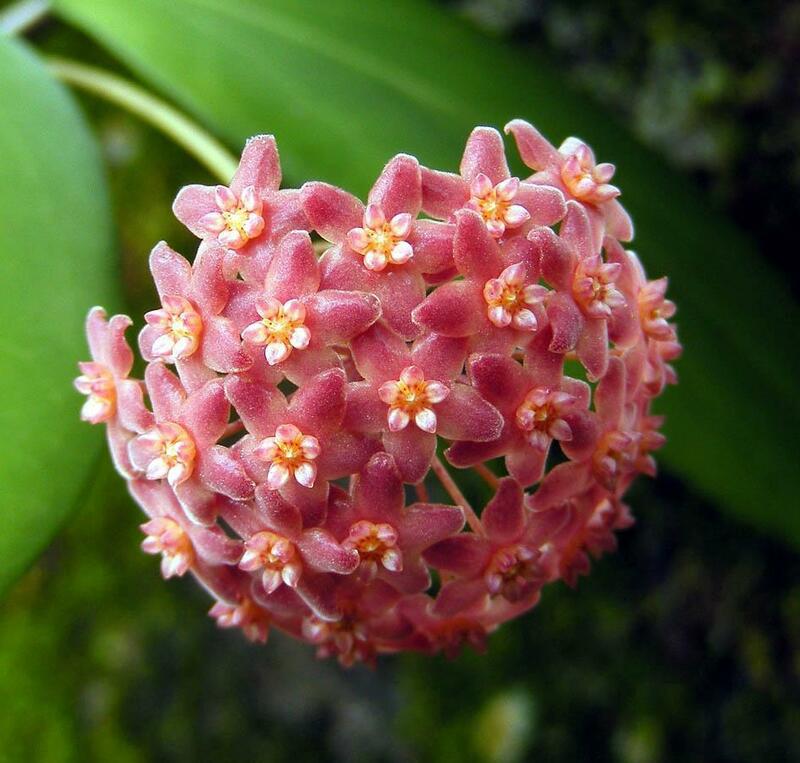 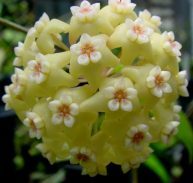 Hoya hypoplasia is a member of the Asclepiadaceae family and is native to Papua New Guinea. 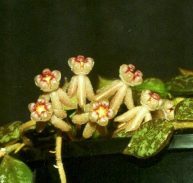 The leaves are 160 mm long and 45mm wide and the vine is a little slow growing to start with then stand back. 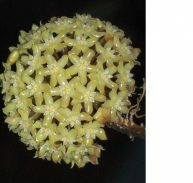 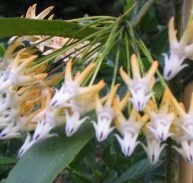 The flowers are yellowish with a golden yellow corona. 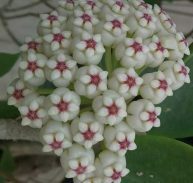 Each flower has 15-25 individual flowers in each umbel. 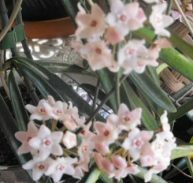 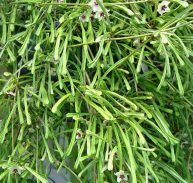 It has very little fragrance and the flowers last about 5 days. 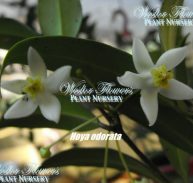 The leaves are 160 mm long and 45 mm wide and the vine is a little slow growing to start with then stand back.